At the end of January I flew out to Dubai. I’d been invited there to see if me working in the city could be an option and, well, I wasn’t going to say no to that! It was a trip I wanted to make without putting pressure on myself to write about it, which is why I’ve only alluded to it on the blog, but now I’m back I quite fancy doing a round-up of sorts, if only to let myself process everything properly. I’ve spent the past six weeks going from pinching myself to panicking (‘What on earth am I doing? !’) because this is not the safe option. Working abroad is something I’ve been quietly thinking about since my second year of uni and now there’s a chance it could actually happen. And that means uprooting myself. Will I go back? It’s too soon to say. 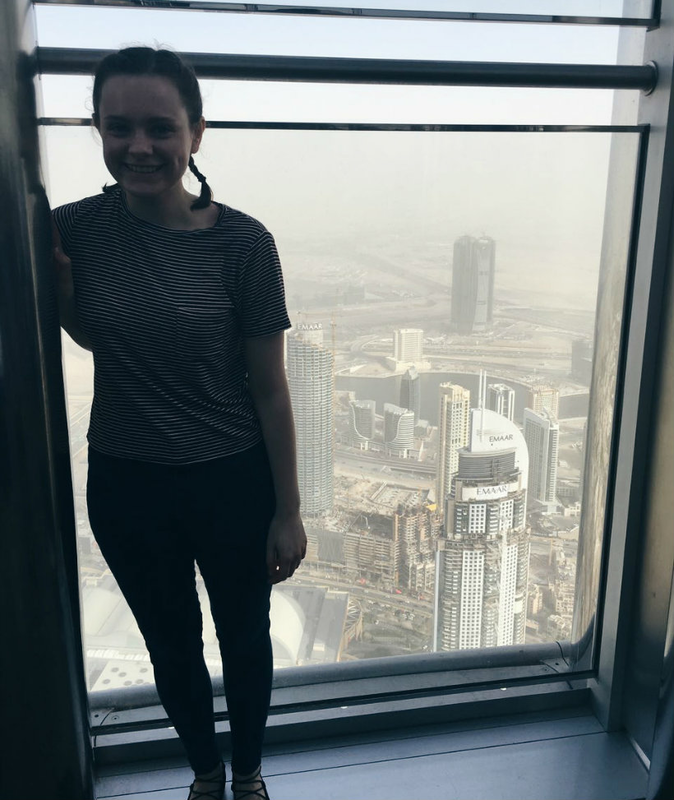 So in the meantime, here’s a list of all the weird, wonderful, and random things I discovered during my time in Dubai. Enjoy! 1. The staff will be extra nice to you if you look young and nervous. During check-in, my mum made a huge deal out of it being my first solo flight — she was hoping I’d get upgraded. (I’d have been cracking up and cringing in equal measure if I hadn’t been so nervous about the whole thing. She used her telephone voice and everything!) I didn’t get the upgrade but I got plenty of non-patronising reassurance, which put me at ease. 2. Qantas are very accommodating if you’re a vegetarian. I specifically requested vegetarian meals for both flights and they delivered with no fuss and no problems. It turns out you get served first when you’ve got a vegetarian meal, too, which was a nice bonus. 5. … although none of the taxi drivers know where they’re going. I ended up giving directions by the end of my first week there. 6. Speaking of drivers, the roads are insane compared to the UK. The main road through the city has seven lanes on either side and everyone drives as fast as they can. 7. Everything is convenient. You can get whatever cuisine you fancy delivered to your door in less than an hour; it’s very easy to get carried away. 8. Brunch is a totally different concept. In the UK, brunch is a nice breakfast. Some waffles, some pancakes, or good old avocado on toast. In Dubai, you pay a flat fee and then help yourself to as many plates of food as you want, and order as many alcoholic drinks as you want. I was in bed by 7:30pm, high on gin and homemade pasta. 9. We are so lucky with our vegetarian options in the UK. Many places now have a lot of decent veggie options to choose from, or even an entire vegan/veggie menu. In Dubai, you’re lucky if there’s even a couple of things you can eat. Add that to the fact fresh fruit and vegetables are eye-wateringly expensive and home cooking becomes a challenge too. A lot of the time it’s easier to get food delivered; there’s a reason the infamous Dubai stone exists. I’m not sure you could be vegan here unless you were seriously minted. 10. The mac ‘n’ cheese from Boutique Kitchen is one of the greatest things I’ve ever eaten and I still have dreams about it. 11. Everyone is from everywhere — you can hear ten different languages before you’ve eaten your lunch and I think that’s wonderful. 13. The mish-mash of cultures means that everyone tends to be more open-minded and respectful towards each others’ differences, an attitude I think many people could learn from. 14. Dubai is not a city made for rain. So when it does rain, they can’t cope with it. There are no drains and a storm can shut everything down. Basically, they react to rain the way the UK reacts to snow. 15. Shopping seems to be the national sport. There are malls everywhere and they’re always busy. 16. 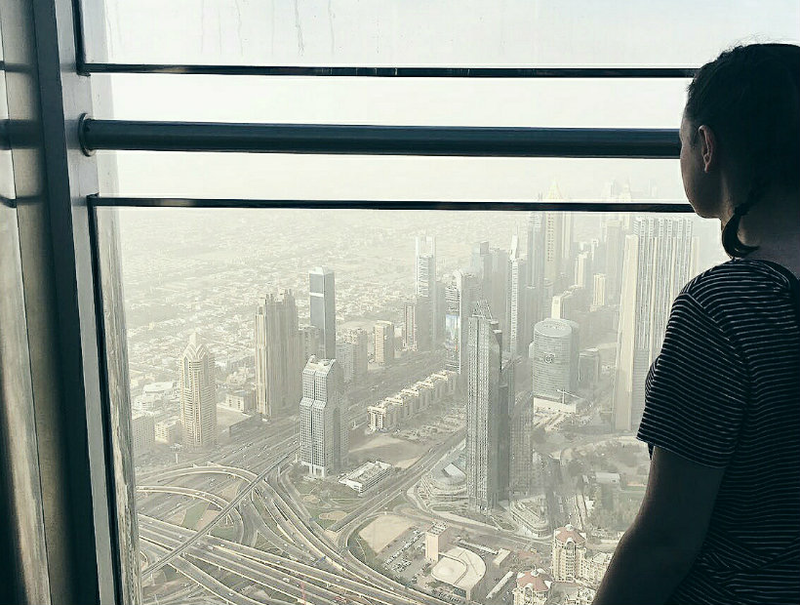 The Burj Khalifa is overpriced, but well worth a visit for the insane views across the city. I’d recommend going at off-peak times so you can avoid the crowds. 17. 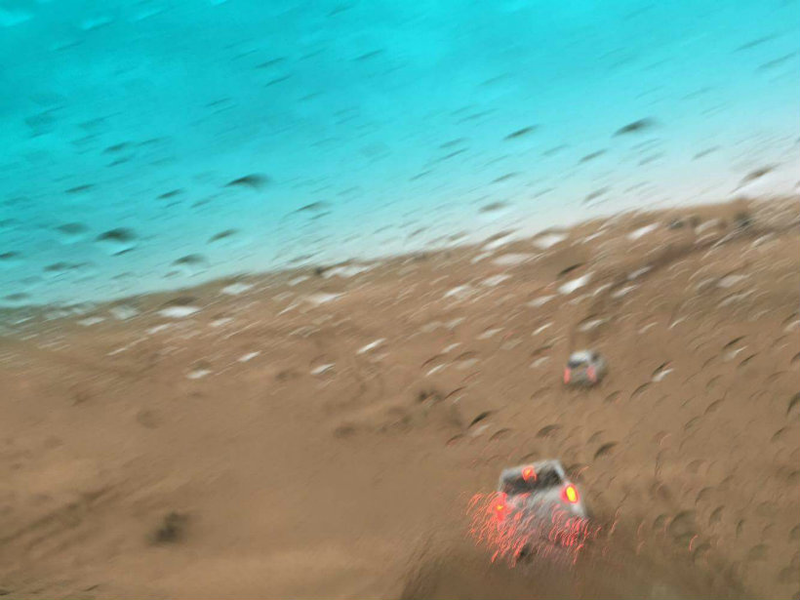 Don’t go on a desert safari when it’s raining. I learnt this lesson the hard way. On the plus side, dune bashing was so much fun and we had a proper laugh. It’s a funny memory and an interesting experience, and isn’t that what travel is supposed to be about? I’m so happy I was able to deal with my nerves and go. Saying that travel changes you is such a cliche, but it’s true. Staying somewhere so different to what I know has given me a greater appreciation for the world outside this little island and while I have a lot of love for Britain, I’ve definitely been hit by the travel bug. What has travelling taught you? 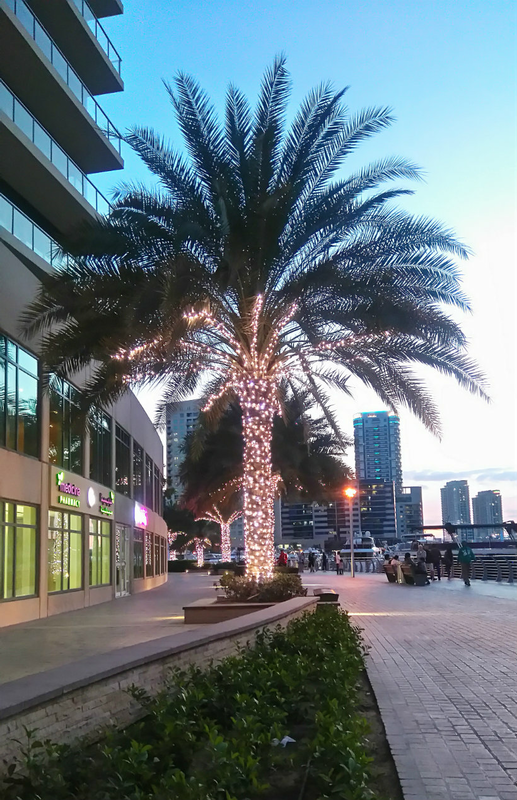 Have you ever been to Dubai before? Let me know in the comments!